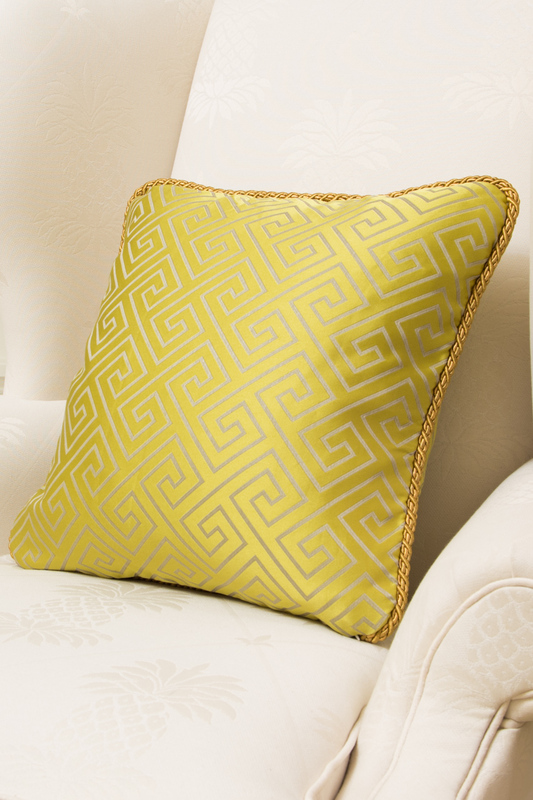 Classic and subtle Greek key patterns on yellow faux silk. 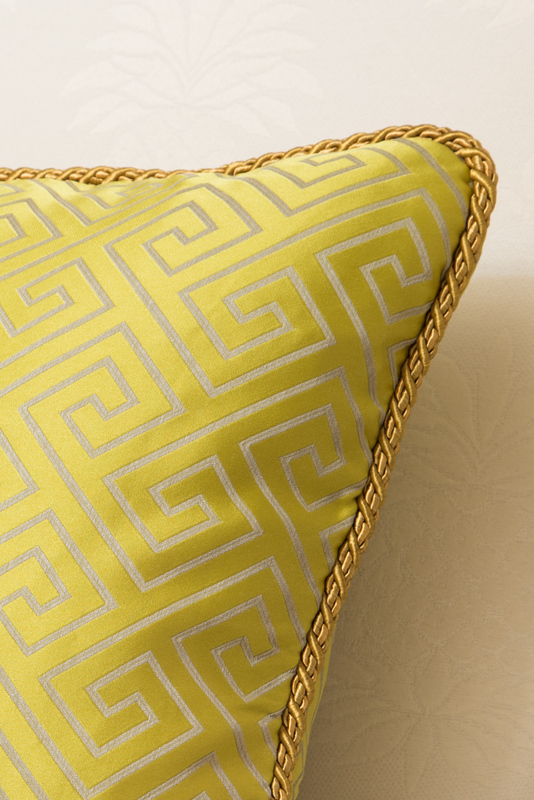 Feel the curves and see the light bounce off the fabric. It will be a perfect addition for your living room, lounge or bedroom.